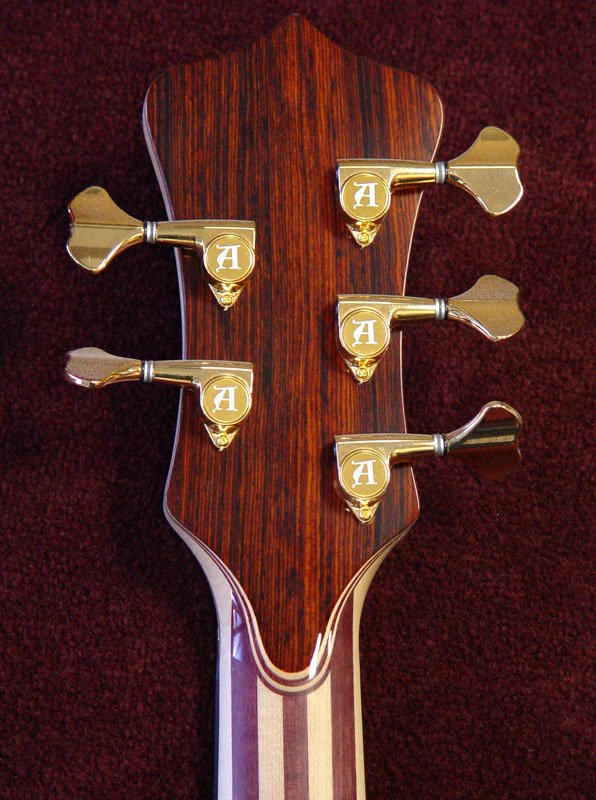 Classic Alembic, updated. 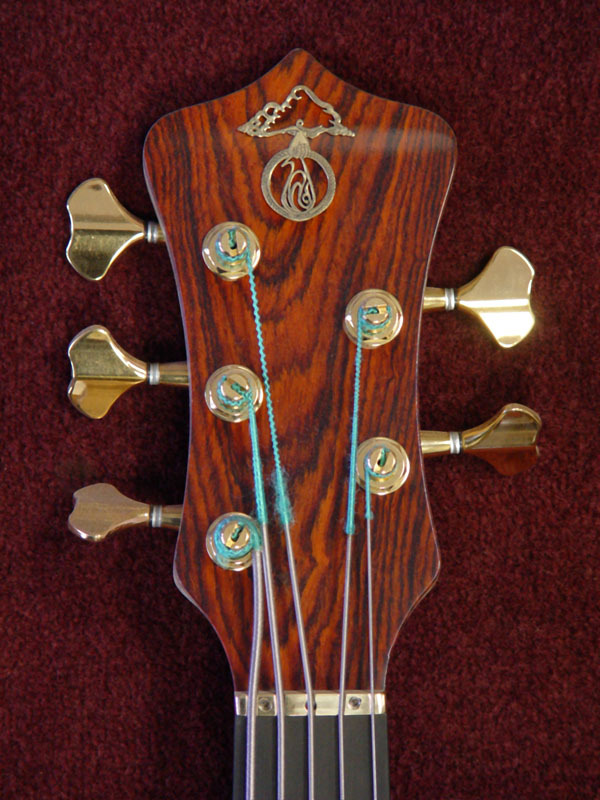 The original Omega body shape was designed for a 4-string medium scale bass. That was over thirty years ago, before 5-string electric basses even existed. To answer the need for a bass with classic Alembic styling, but better suited for 5-string and extended scale lengths, we present the Balance K body shape. It's got the shape that you've grown fond of, but with an offset cutaway, the upper horn can reach up for good balance, without looking gangly or too long. The Balance K shape balances perfectly on a strap. 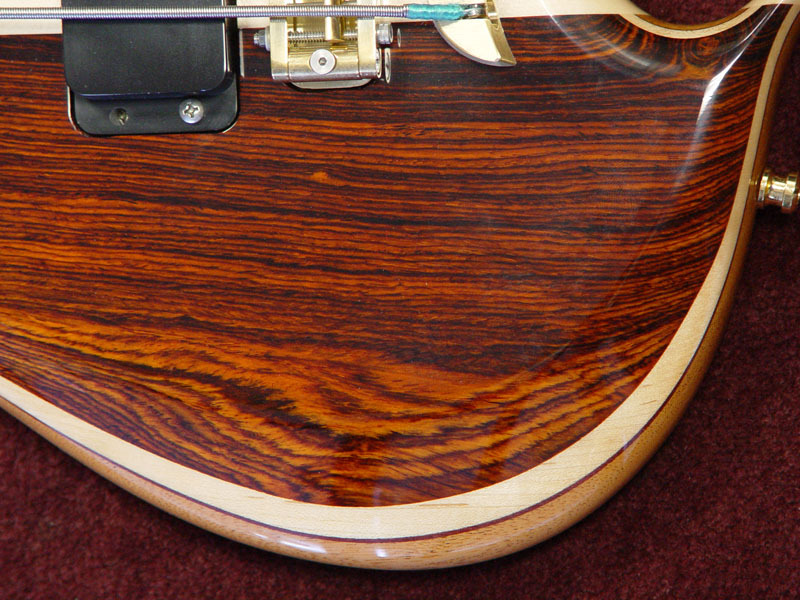 With Coco Bolo top and back, this bass has got all the "right" sounds. Everything you expect from Alembic: clean, clear, distinct. Complex tone with excellent low-end response and piano-like highs. 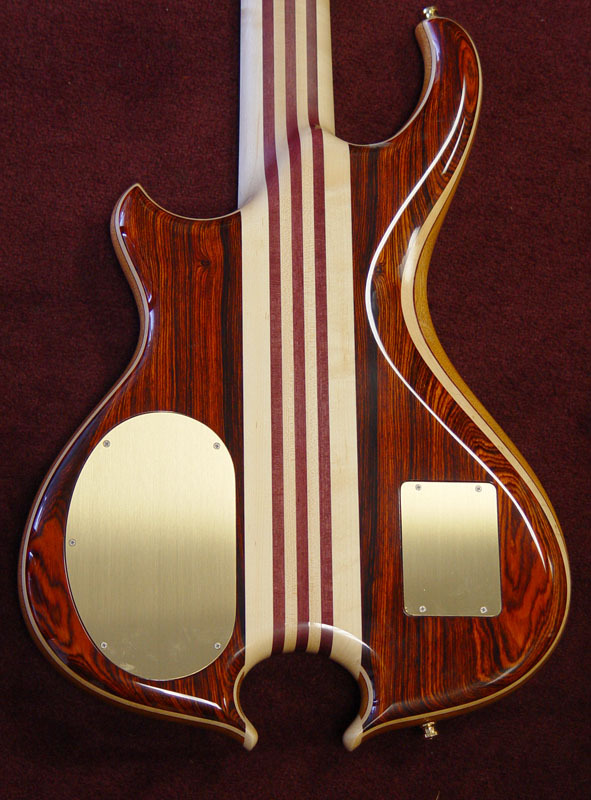 Top it off with that most Alembic of custom features side LEDs. These are each inlaid in small sterling silver circles, so even when not illuminated (operation is by a small toggle switch), you can still clearly see your position.